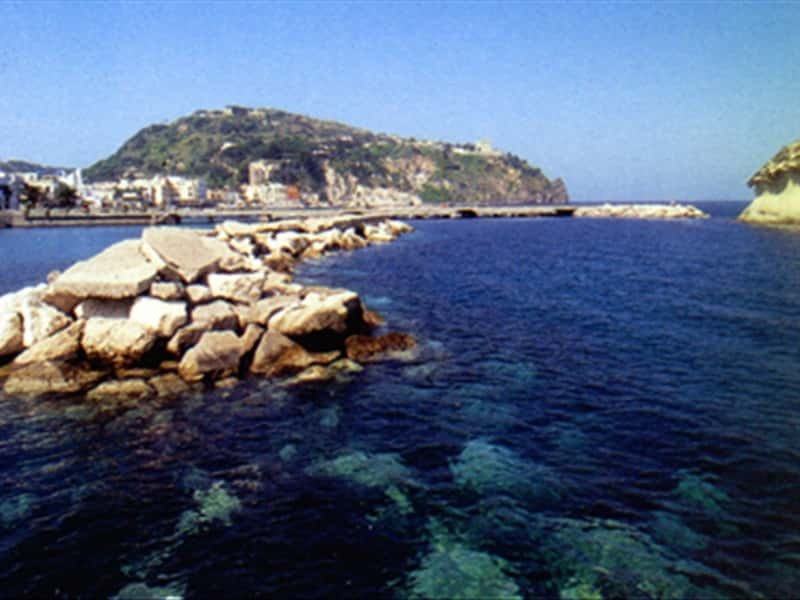 Lacco Ameno is situated on the north-eastern part of the isle of Ischia, covering the foot of Epomeo Mount. It is the smallest villages of the isle, but it also the most famous due to the curative nature of its spring waters, as the Legne, Capitello, Santa Restituita and Regina Isabella. Here, in the beautiful Villa Arbusto, the Archaeological Museum of Pithecusae, with many precious artifacts, has its home. Ischia, in fact, was the first Tyrrhenian settlement of the Greeks, founded in the VIII century BC with the name of Pithekousa (island of the "pithekou" or monkeys, or the "pithoi", clay vases). Some of the most important relic of the museum is Nestor's Cup, which carries one of the oldest known Greek inscriptions. From the crypt of the nearby Santa Restituita Church one enters the excavations of a paleo-christian basilica and the museum's relics that tell the story of the island from the time of the Greeks to the first Christians. This town web page has been visited 50,493 times.